Our U18's opened the day after the long road trip to Wagga and came out with one of their finest first halves of football this season. The team were constantly getting behind the line wide and delivering multiple crosses into the opposition box. Peter Stewart was rewarded for his pressing and opened the scoring forcing a defensive mistake and rolling into an empty net. Many chances came and went for the remainder of the half with quick ball speed changing sides being a key factor. It was just before half time that the 18's doubled the lead with a fine left footed finish from Matthew Zucconi. The second half started much the same way, completely in control but unable to convert any of the multiple chances created. Then a key moment changed the momentum of the game, as CCU failed to convert an open goal, and moments later the opposition were awarded a generous penalty to make the deficit only 1. As often happens in football, goals change games and from being in complete control the boys now looked vulnerable from every breakdown. The boys were still creating their own opportunities but rushing shots rather than remaining composed. With 40 seconds of time remaining a dubious decision awarded the home side another spot kick and the match ended in a draw, 2-2. The result was a consequence of missed opportunities coming back to haunt the boys, but it also demonstrates the development area when playing senior football on how to close out a game away from home under pressure. The team looks to get back to their winning form on Saturday against Prospect United. After a long trip down to Wagga, the boys were buzzing to get out on the pitch. Match preparations for the week stayed the same, even though coach Dean Heffernan was away with work commitments. The first 20 minutes of the game were difficult for the team, if it wasn't for a couple of great saves from keeper Tom Marsh, the boys may have been 2-0 down. The boys took this as a wake up call and started to impose their authority on the game. After some great work in the attacking third, Bayley Appo stepped up to take the penalty and converted for CCU's first goal. The boys grew in confidence after this goal, and 10 minutes later Appo scored his second, with a curling ball into the top left corner of the net, taking the boys into halftime 2-1 up. The second half saw the boys come out firing and dominate the next 45 minutes. Jake Brownlow scored the critical third goal with typical number 9 finish, taking the score to 3-1. To round the game out, Tom Lyons scored a superb free kick, and his first goal for the club, to take the final score to 4-1. Stand out performance from Tait Johnson, with energy to burn, running up and down the right flank for the full 90 minutes. A long road trip is always a concern with travel being a difficult preparation for body and mind. Just after kick off, the 1st Grade team were dealt an early blow with inform wide midfielder Cade Mapu suffering a muscle injury and was unable to take any further part in the game. Despite this, the boys pushed on and it didn’t take long to open the scoring with Josh Swadling adding another long range strike to his collection this season. Adam Woodbine was rewarded for his hard work and perseverance up front converting 2 before the break, the second a very well created team goal. Scott McGinely scored the goal of the half, busting two tackles on the edge of CCU's box from a Wagga corner kick, combining with Woodbine running the length of the field to curl a left footed strike into the top corner from the edge of the box. A 4 goal lead was taken into the half time break and the team were challenged to keep the momentum and try to limit touches in the final third. The team started the second half very well, Woodbine completed his hatrick finishing off some very slick interplay. Oscar Torres (who had come on for Mapu after already playing 70 minutes for the 20's) then converted expertly from 12 yards, the ball crashing off the underside of the bar and back into the top of the net. Captain Daniel McFarlane got himself on the score sheet assisted by more Swadling determination to make his trip home more bearable. Alex Arbelo scored for the third game in a row with a strike from outside the box deflecting past the stranded Wagga goalkeeper. The only blemish on the performance was a late goal against the team and losing the clean sheet, a slopy ball inside was pounced on leaving Jack O’Mally exposed 1 on 1 and unlike the first half where he made an outstanding save, this one was put away clinically into the far corner. Head Coach Stu Davis said of the game, "a professional performance from the lads after a very long road trip and it was rewarding to see unselfish play in the final third resulting in more converted chances." The boys will take on in form Prospect United this Saturday at Pluim Park. After a tough few weeks for the 13's, the main objective for this game was to simply bring back the focus and get back to their best form. Taking on an in form St George team, every one of the CCU boys came out firing and ready to play. The effort was fantastic and on a better pitch the boys may have even been able to convert a couple more chances. Will Rankin and Oliver Macnair marked their spot on the score sheet, scoring a goal each. Coach Mark Owen said of the game, "It was great to see the boys start to implement the defensive structure we have been working on the past few weeks. Very proud of them all today." Our 14's were next to take the field and were hoping to follow the 13's winning ways. The boys were dominant in the first half, however, communication was low and play wasn't great. Going into halftime 1 nil up, the boys should have been ahead by more, and they knew this, which led them to come out in the second half firing. The team put together a number of good combination plays, switching from the left and right, and became ruthless in front of goal. A great second half saw the boys take the final score to 5-0, with 5 different goal scorers, and hope to continue their second half form on Saturday against Football South Coast. Our U15s were up next, taking on St George for the second time this season, as they showed a much improved and faster team then first time round. The boys played well, but were caught out on a couple of occasions and caught out through long goal kicks. However in attack, despite only scoring a penalty through Mason Fitzgerald, some of the combination play hit season high point and will be used as the new benchmark for the boys. They will take this game as a learning experience and it provides a clear week of preparation and training ahead of this weekend's game. Our 16's were the last to take the field at Peakhurst Park on Sunday. It was a tough game on a tough surface for the boys in way of physicality, and they cam away with an unlucky and undeserved result. The 16s dominated possession and had some great drive and combinations to get forward, however were just lacking their final pass due to the bumpy surface. Conceding 2 goals from set pieces against a physical side and another goal from distance didn’t put the boys down though, as they fought back to grab a goal through Jayden Debono and continued creating opportunities to score. Coach Jake Gomez said of the game, "we may need to work on our decision making in attacking areas but a decent game overall". 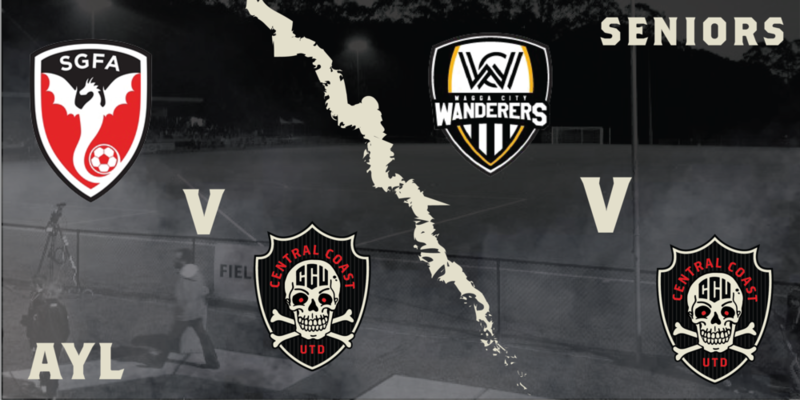 The boys will be looking to turn the result around this weekend against Football South Coast.